When we were planning our wedding anniversary we didn’t have to think too long and hard about where to spend it. 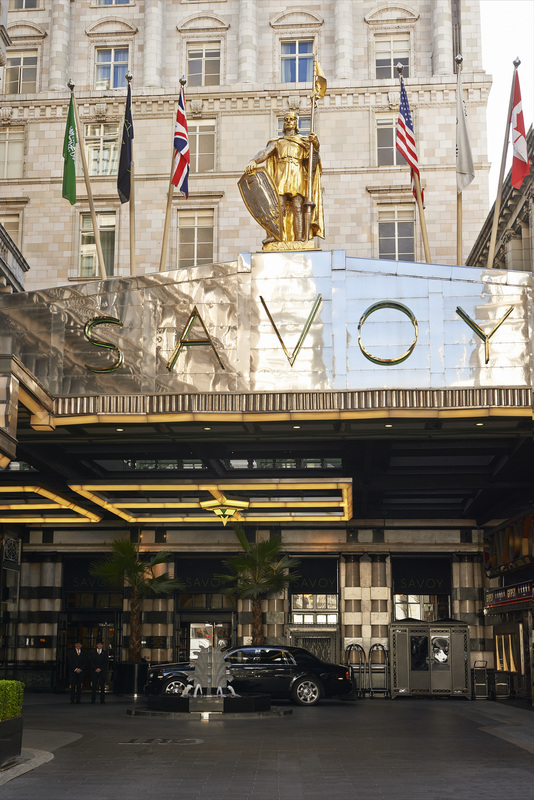 There was only ever going to be one hotel worthy and that is the magnificent Savoy Hotel by the River Thames on the Strand. 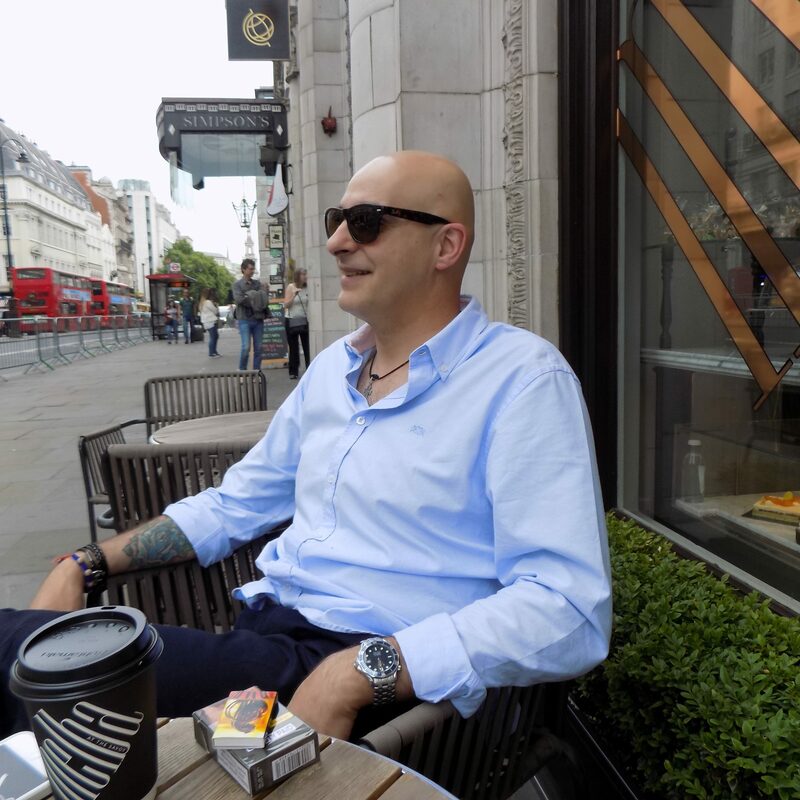 The hotel is extremely well located in the heart of the West End in between the City of London, Mayfair, Knightsbridge and London’s Theatre land, Covent Garden. 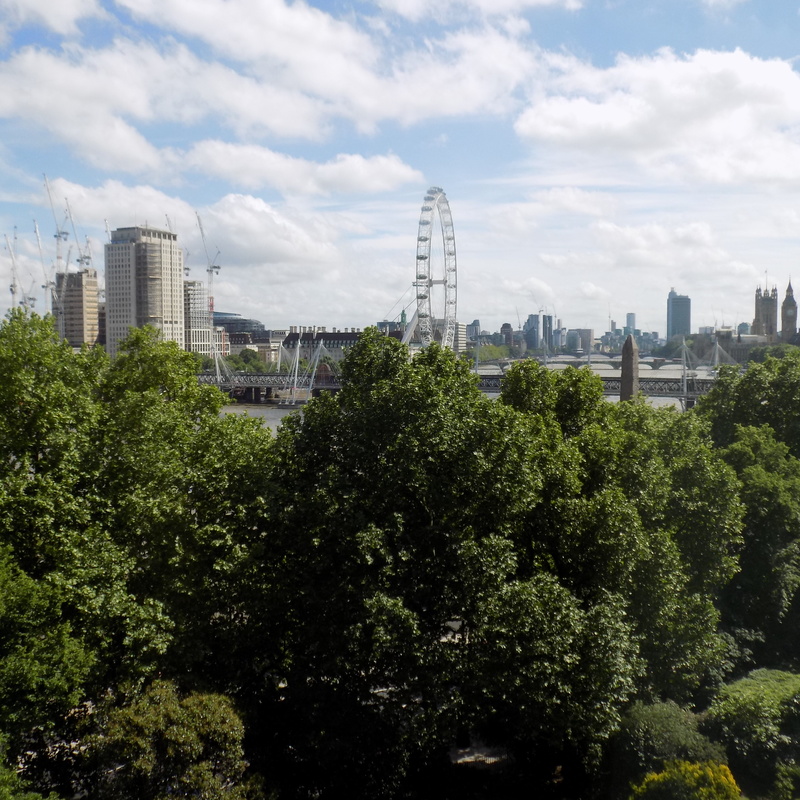 Round the back of the hotel is the River Thames and dotted along the horizon you can see most of London’s landmarks, the London Eye, The Shard and even St Paul’s Cathedral on a clear day. 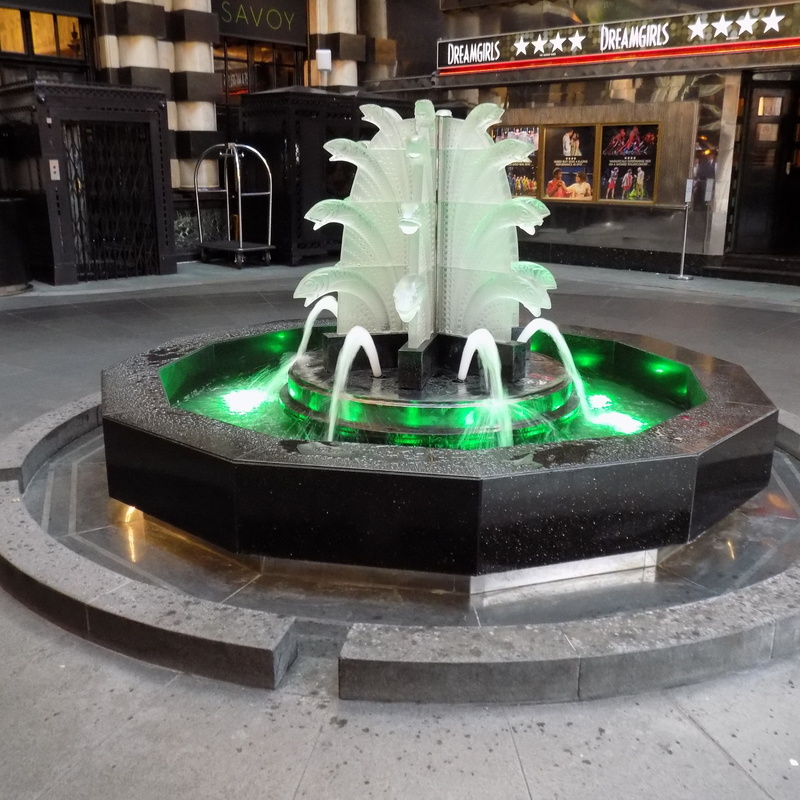 A Lalique crystal fountain stands in front of the hotel’s grand entrance twinkling and glowing like magic, this is where the Savoy’s luxurious limousines’ are parked majestically awaiting to whisk their guests off to wherever they desire. 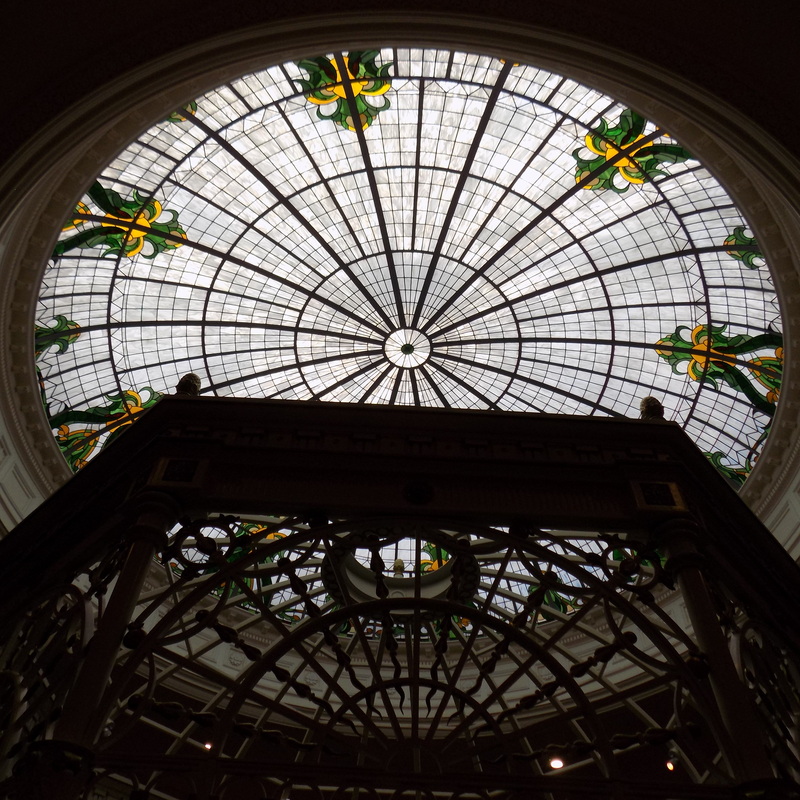 I arrived at the hotel first eagerly anticipating the hotel’s very generous offer of a guided tour and as I entered the hotel, I immediately knew that I was in for a treat! Our Anniversary cake, almost too cute to eat! 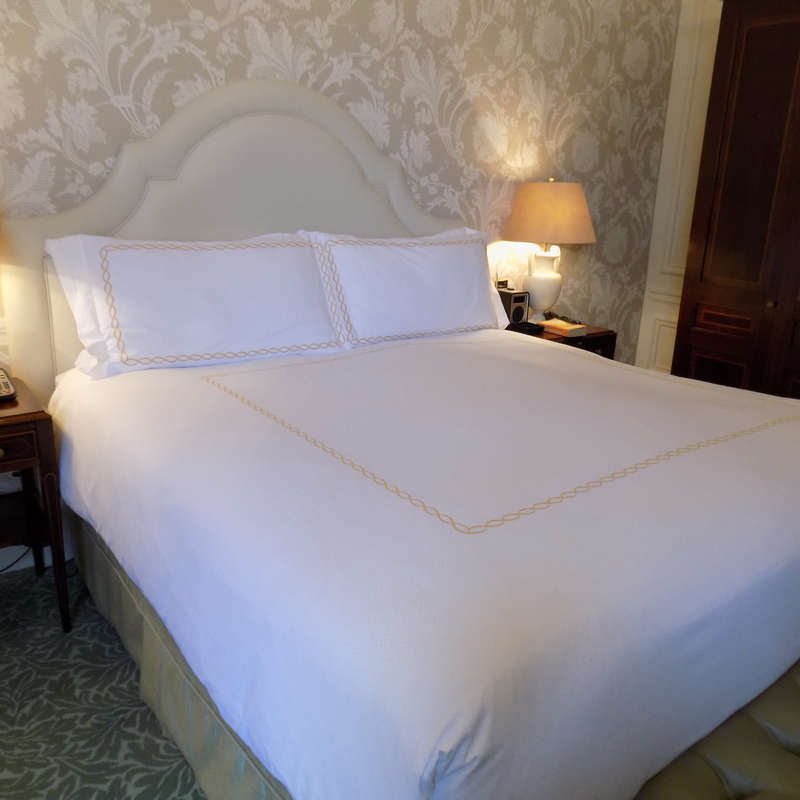 After checking in, I was shown to our upgraded room which was everything I had hoped it would be. 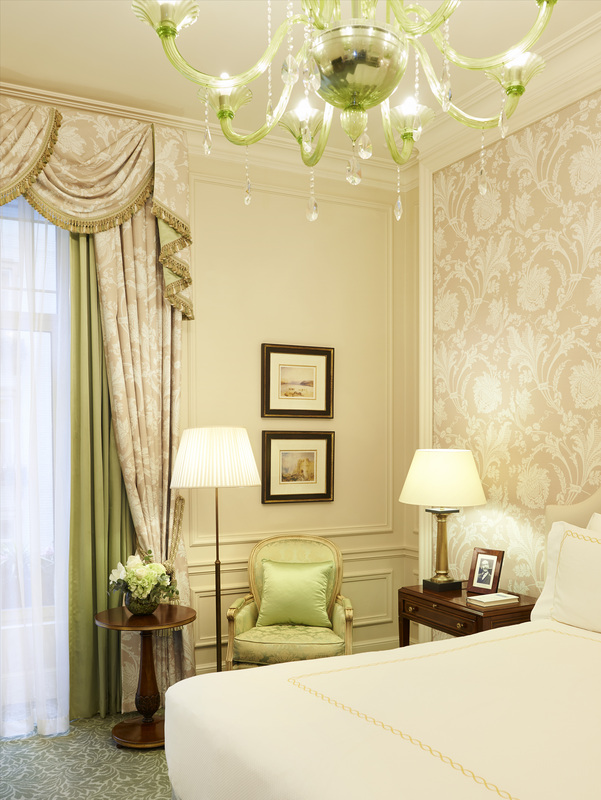 Sumptuously decorated in Edwardian style with opulent fabrics, the large King bed that takes pride in the centre of the room was gloriously comfortable. 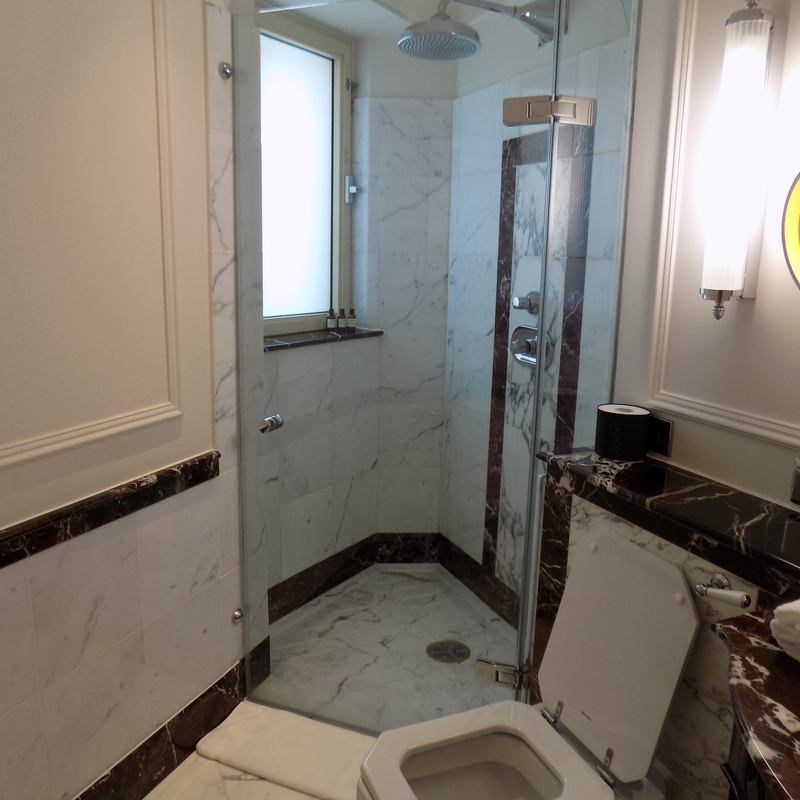 The large bathroom is discreetly served by the latest technology and what I loved most about it was the large deep bath and free standing wet room style shower which is so important but not always provided by many hotels. A bidet also features, quite unusual I thought but nonetheless handy. I cheered when I saw that not only were there tea & coffee making facilities, but a sleek Nespresso coffee machine too. I settled down for a much needed cold drink as it was a very warm May Bank Holiday weekend and just like an excited kid at Christmas and with a sense of urgency my fingers were firmly on the phone and dialing my husband who was his way to join me so that I could tell him all about my first impressions of the hotel. 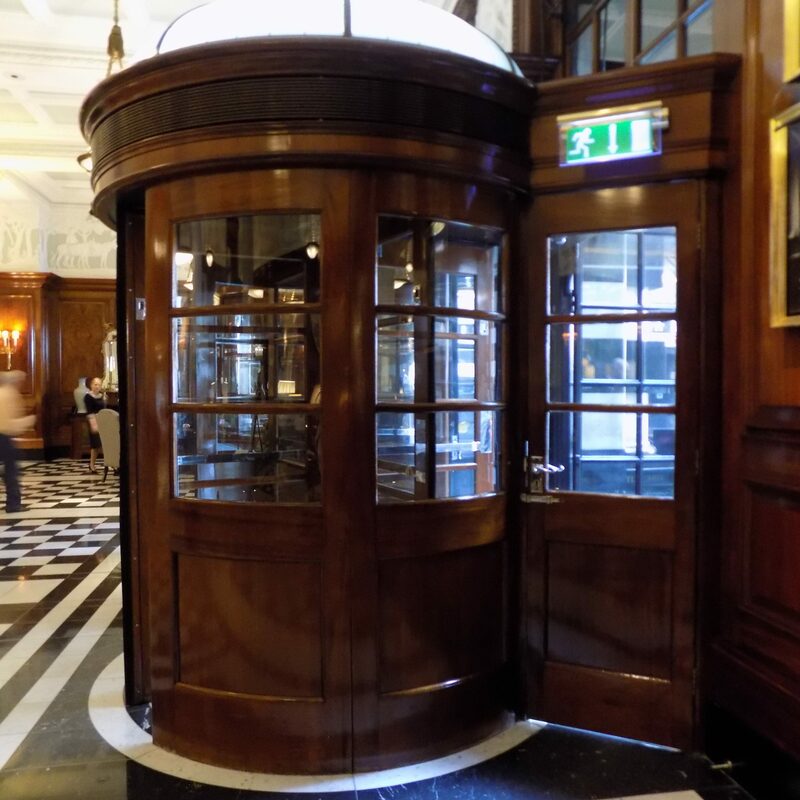 Intertwining with each other like slithering silk worms at work, the Art Deco and Edwardian styles complement each other perfectly, it is a clear indication of the hotel’s past which endures today. A Deluxe Art Deco room. 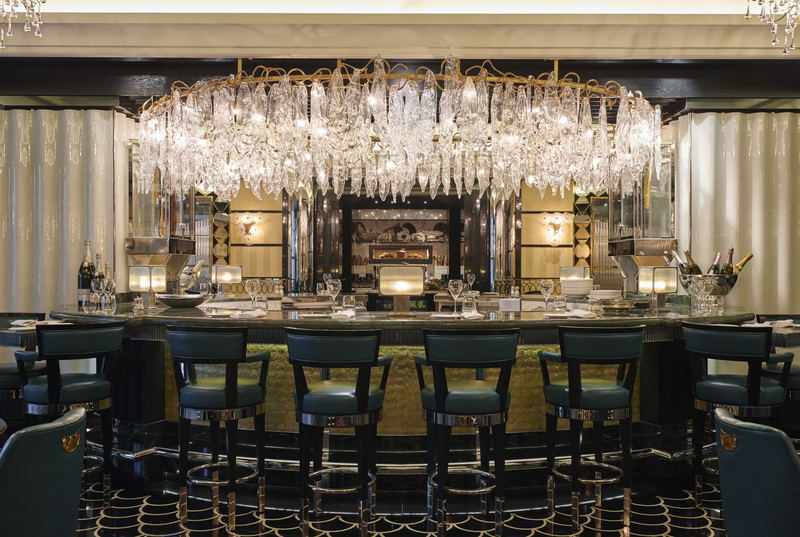 Off the majestic main lobby all glossy wood, is one of the hotel’s restaurants, the Savoy Grill now under the wing of acclaimed chef Gordon Ramsay, it is an expression of classic British cuisine. 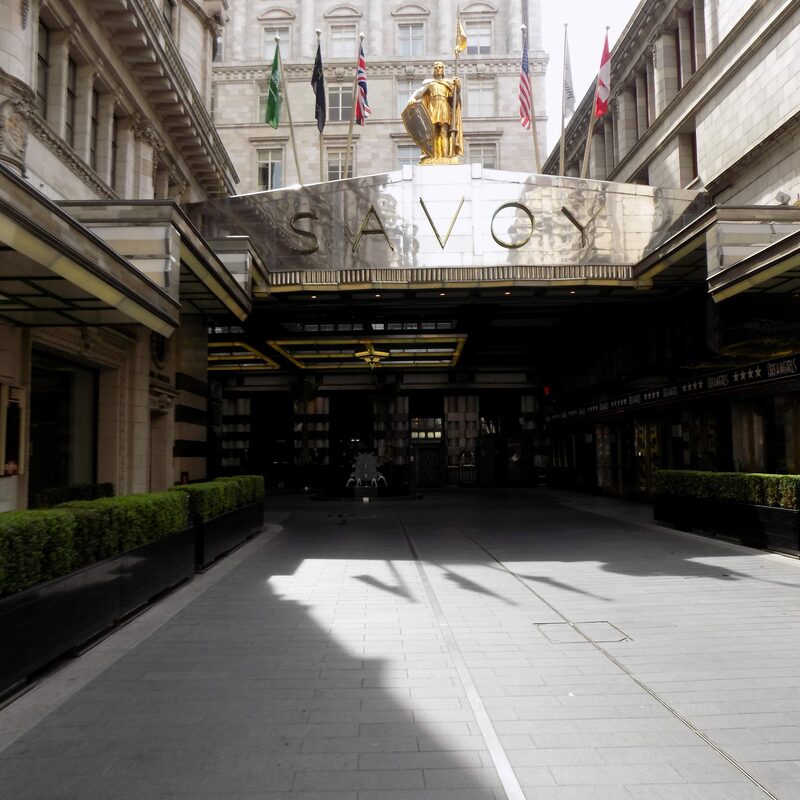 As I headed down to the lobby to meet my host Shannon Lowe from Guest Relations, I had to pinch myself to believe we were actually spending the night at the incredible Savoy. 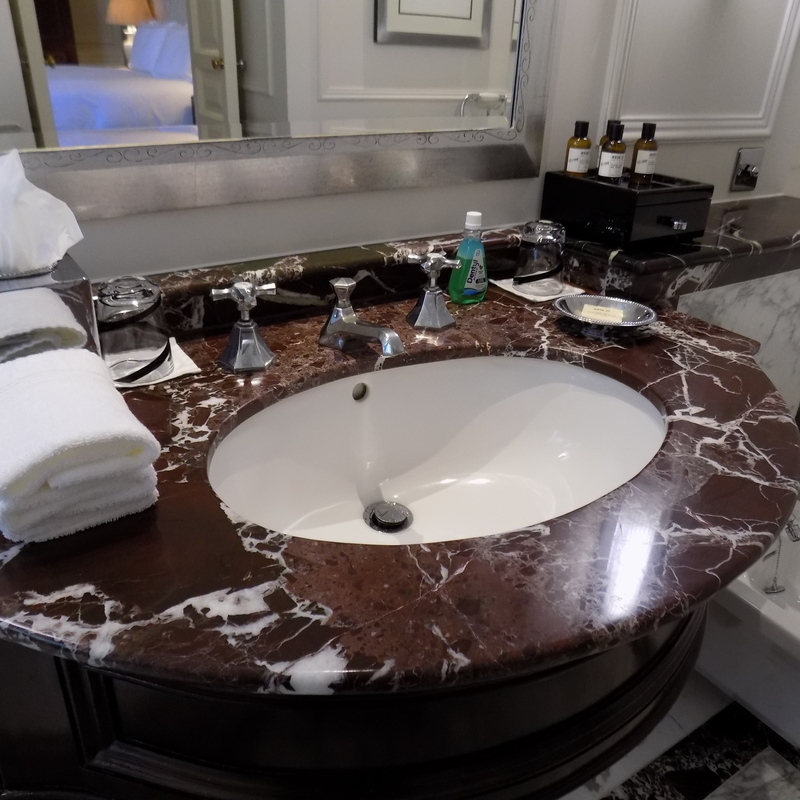 The tour lasted an hour and encompassed the entire hotel including the magnificent Presidential Suite, a mere £10,000 per night! It totally took my breath away as did the rest of the hotel. 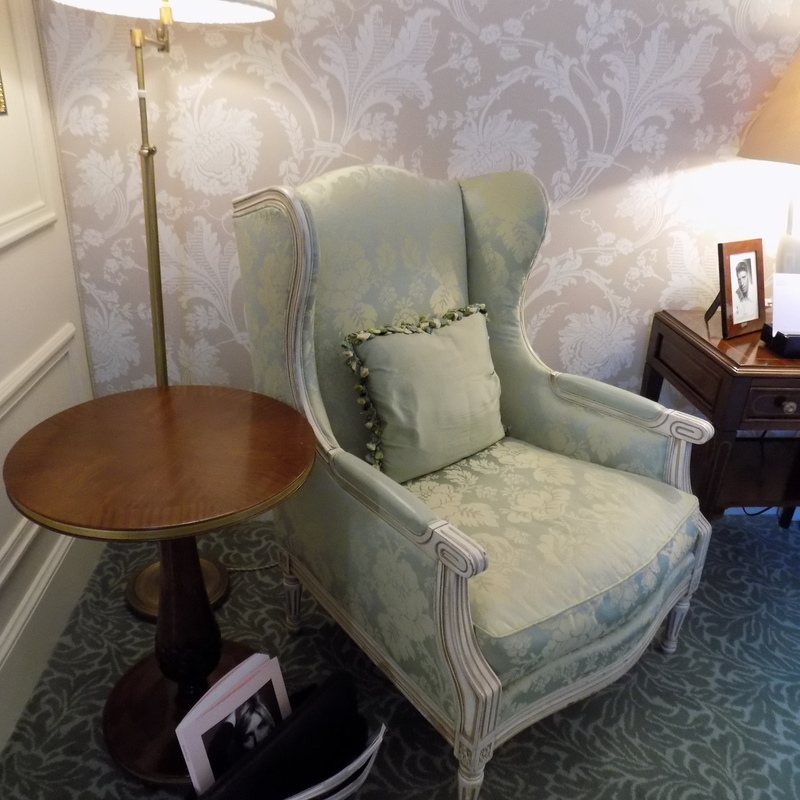 It was fascinating to hear all about the rich history of the hotel which had a major refurbishment in 2010. Thus 9 Personality Suites in a mix of Art Deco and Edwardian style were created and named after some of the hotels’ notable guests including Marlene Dietrich, Frank Sinatra, Noel Coward taking the Art Deco design with Winston Churchill, Maria Callas and Charlie Chaplin more suited to the Edwardian style, my personal favourite. 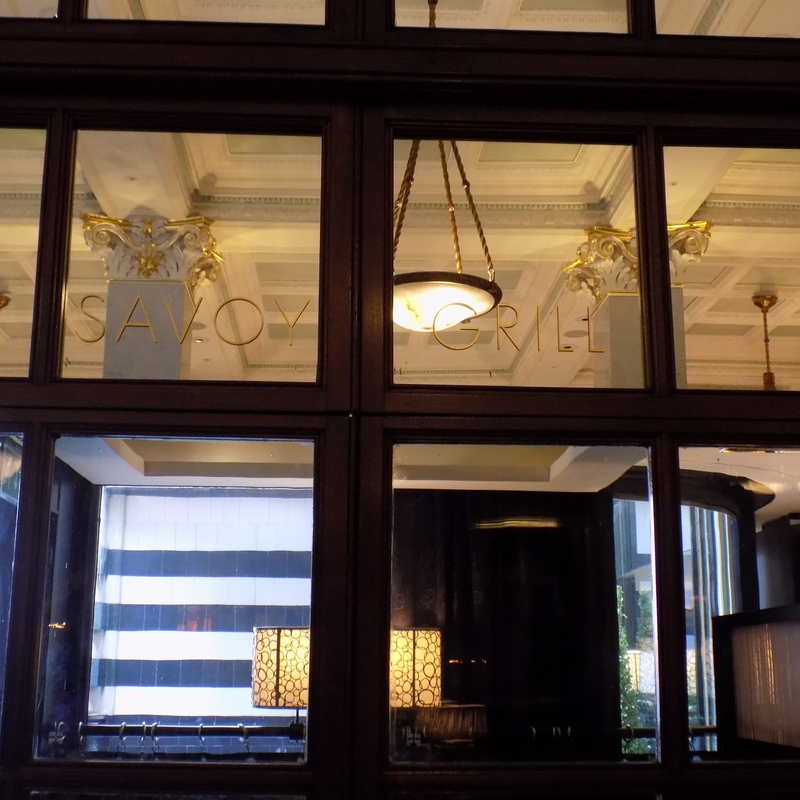 You can read more about the Savoy’s famous guests at the small museum which also serves cocktails right by the American Bar. 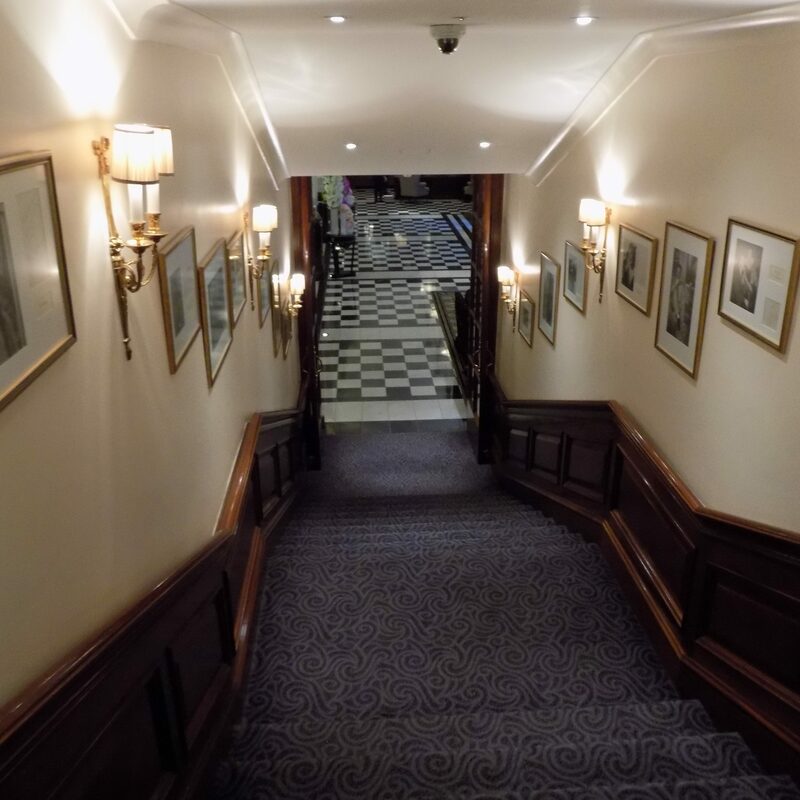 For instance, here is where Sir Laurence Olivier met his future wife, the exquisite beauty of Vivien Leigh had him entranced the moment they first met, it was wonderful to hear that that happened right here at the Savoy. My tour was nearly coming to an end but Shannon saved the best part until the end, Kaspars Restaurant and Grill with it’s mysterious Kaspar the Cat story definitely had me intrigued, I will not divulge anything, I look forward to unraveling the mystery with you in a riveting post coming soon where I will acquaint you with the story of KaspartheCat. 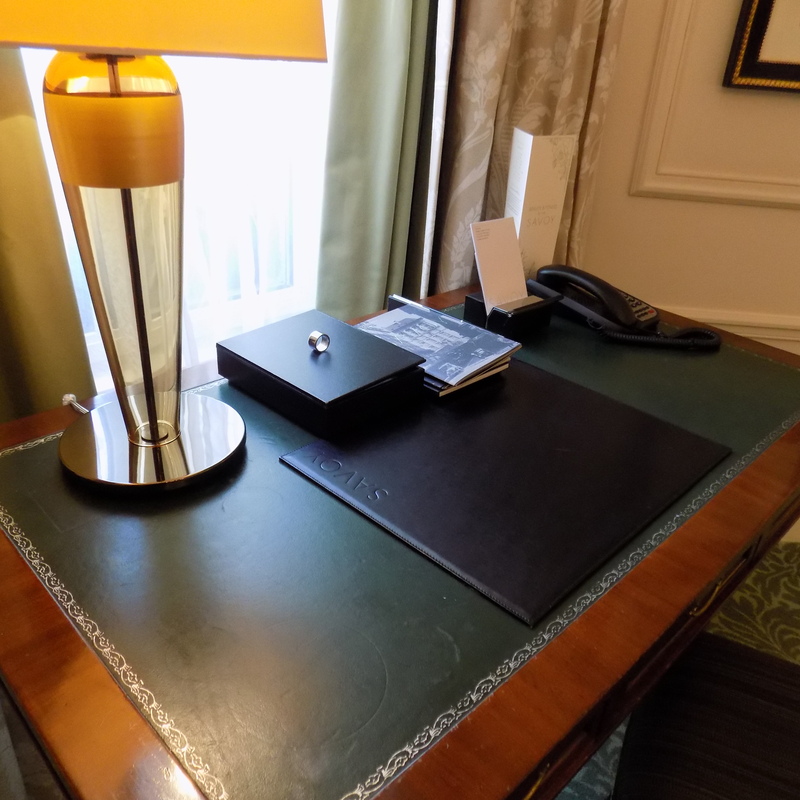 It is clearly evident that the hotel takes immense pride in the exemplary service that they provide to each and every single guest, guests that arrive from all over the world drawn to the reputation and grandeur of the Savoy Hotel. 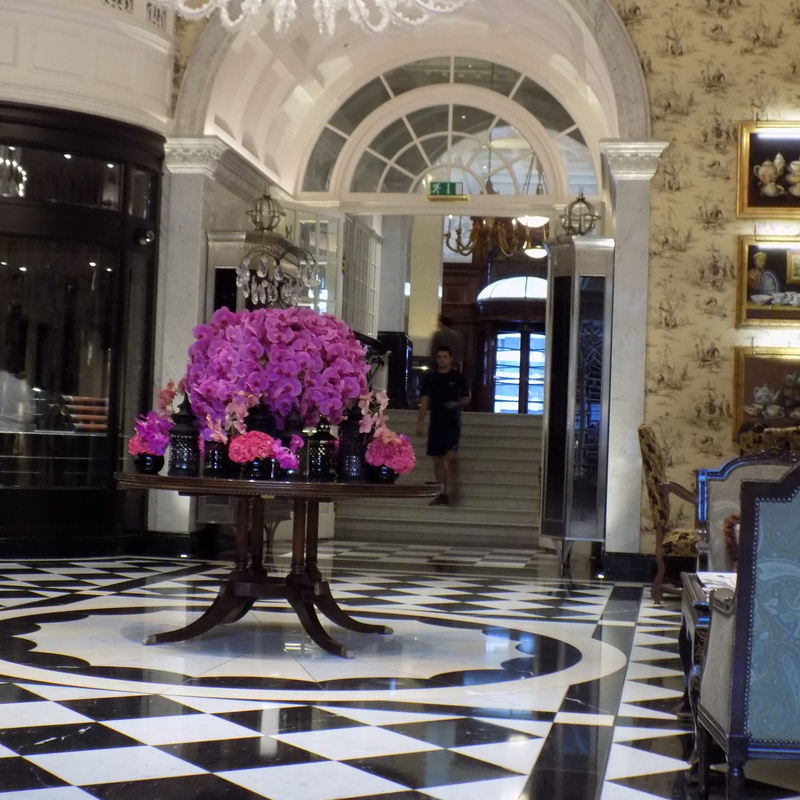 It is truly a hotel of supreme class and elegance, I was honoured to have had the privilege of being shown around the Savoy and I am very grateful to my lovely host Shannon for guiding me through the Savoy. 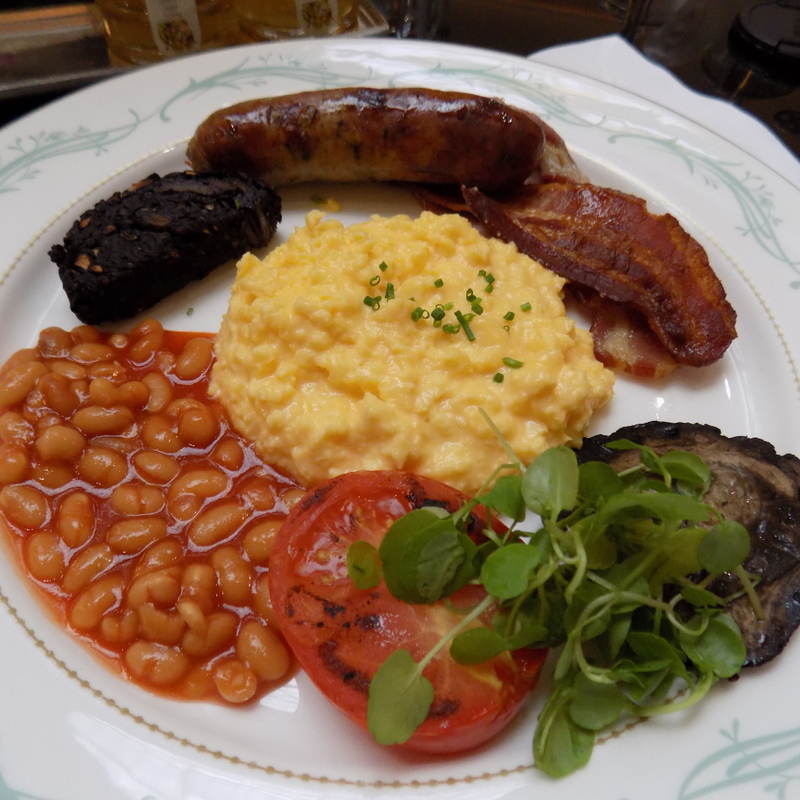 Upon his arrival, my husband was equally overwhelmed by his new surroundings and being the inquisitive man that he is, we soon found ourselves at the world famous AmericanBar which is situated just off the Savoy Grill. Entering the bar is like being transported back to a 1940’s film set. 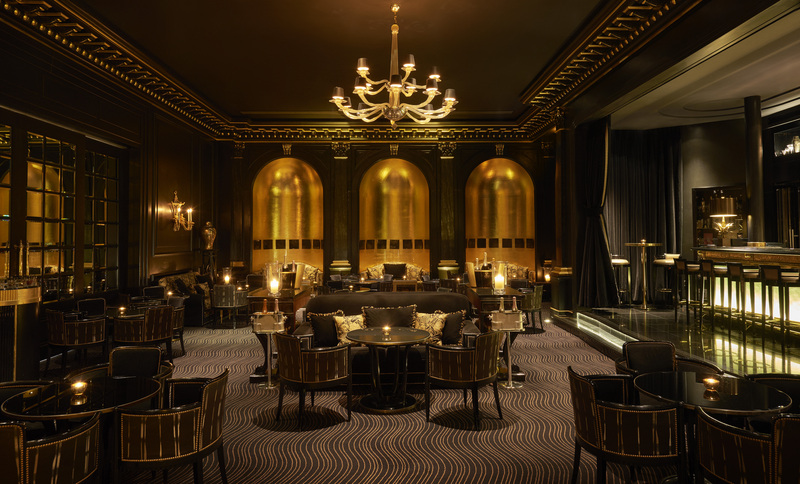 It has won numerous awards including Winner of Best International Bar Team 2016 at Tales of the Cocktail awards and Best Bar in Europe (second in the world) at World’s 50 Best Bars 2016, here is where we would relax for a pre-dinner cocktail. 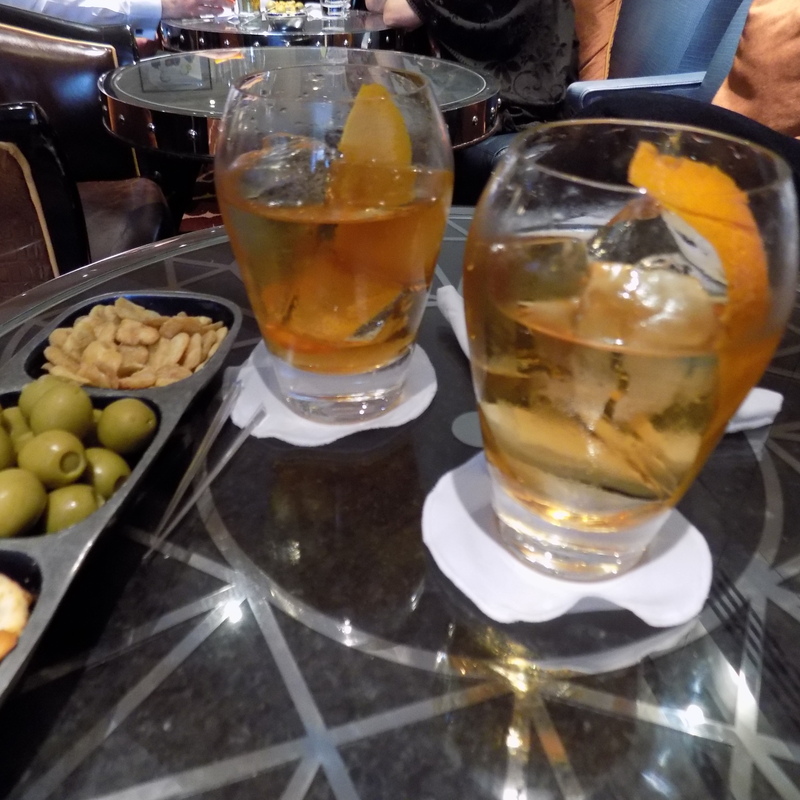 Recently after watching the award winning show, Mad Men where Old Fashionds’ were knocked back like water, we too have grown accustomed to an Old Fashioned or two, a whiskey cocktail that has stood the test of time and there is no better place to enjoy one than at the Savoy’s American Bar. After drinks, I was eager to show my husband around the rest of the hotel. 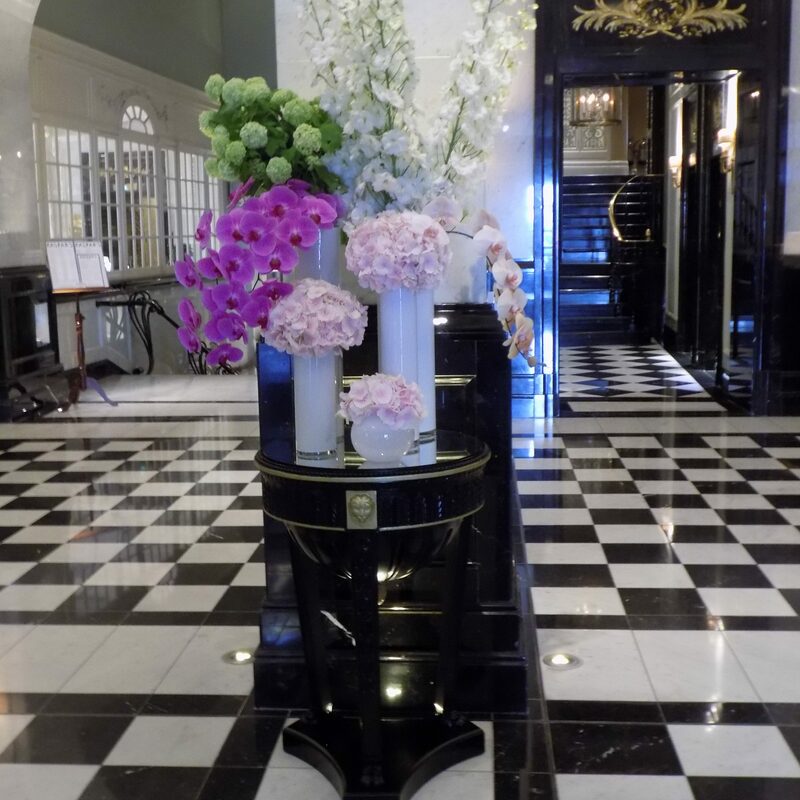 Finding ourselves back at the main lobby, we enter another hallway Edwardian in style with the most magnificent fresh flowering centre piece. 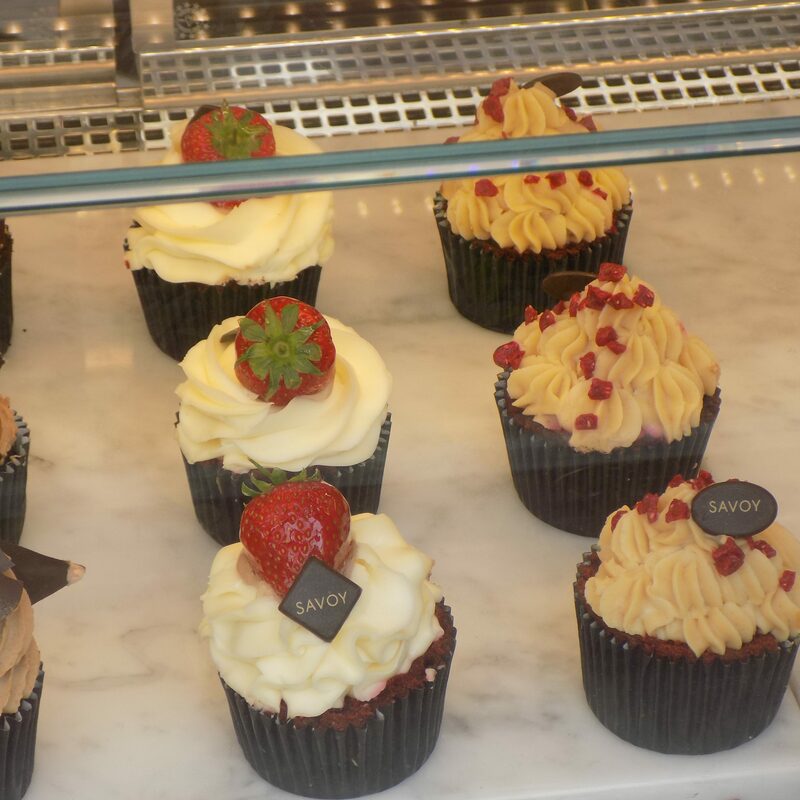 Here you will find the The Savoy Tea Shop similar in style to Piccadilly’s shopping arcades, it sells accessories, gifts and a host of preserves, teas, coffee and French style patisserie which serves the hotel’s Melba Cake Shop which stands on the corner of London’s Strand where you can stop by for a quick coffee & pastry or cake. 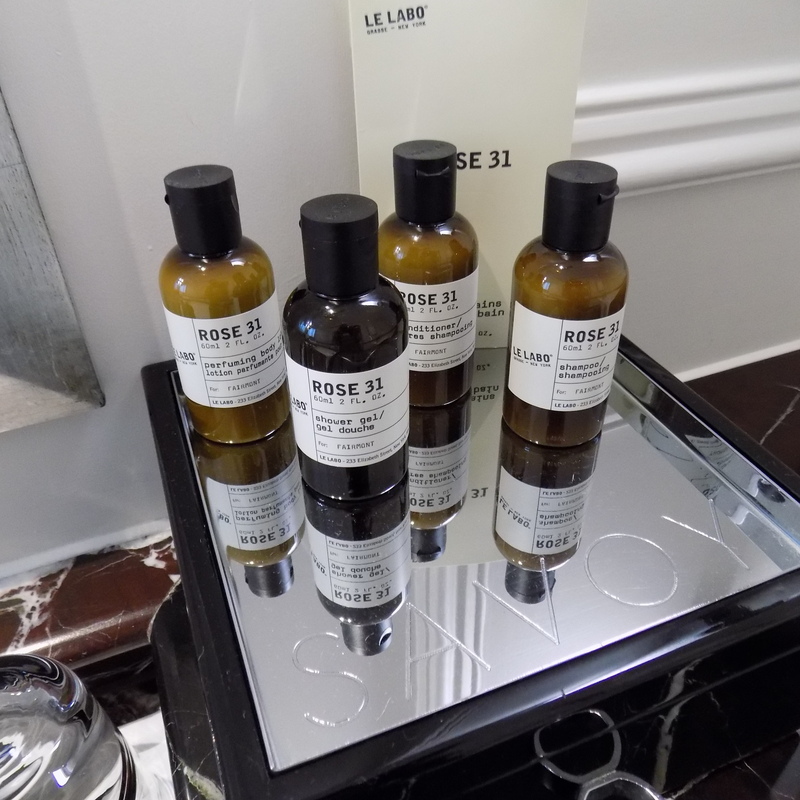 The foyer is also home to the luxurious ladies and gents bathrooms which permeates throughout with a delicate rose scent. 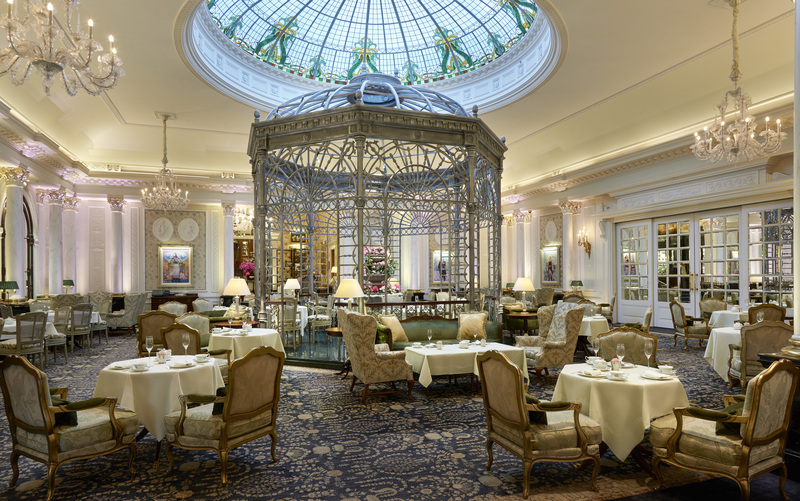 The Melba Tea Shop on the Strand serving patisserie and refreshments, all delicacies are made on sight at the Savoy. 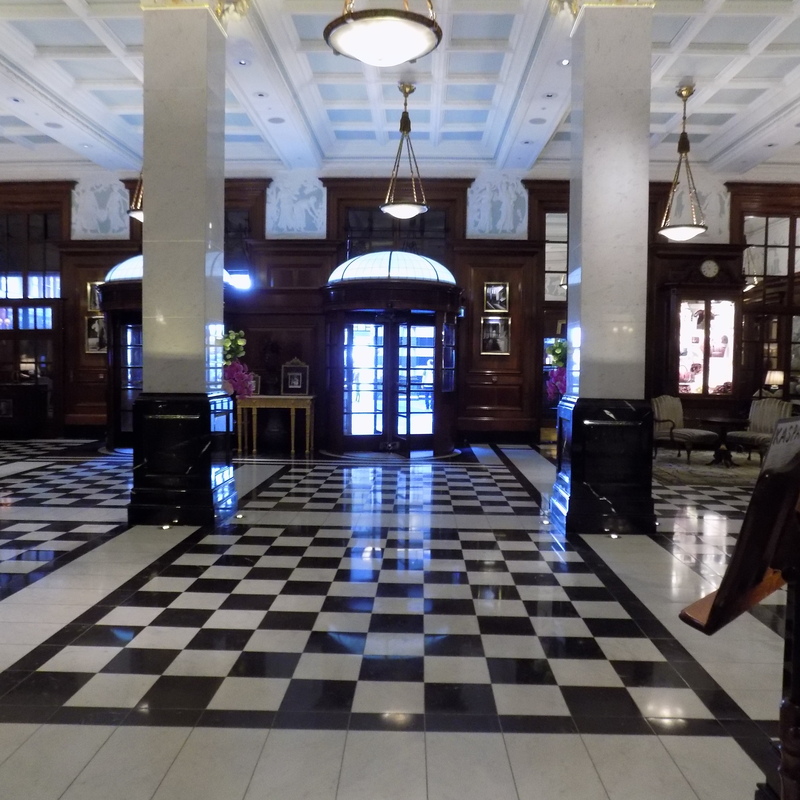 The Edwardian style hall with magnificent flower centre piece, just off here are the ladies and gents ornate bathrooms. 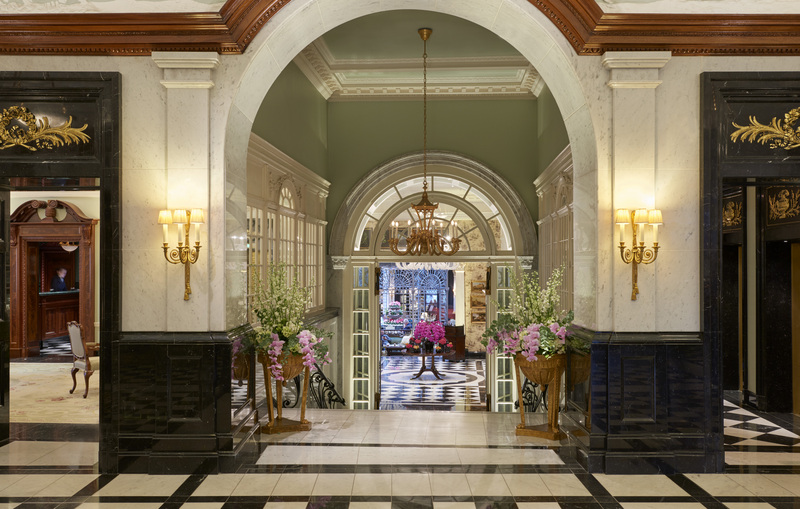 This lobby area leads through to the Thames Foyer, the hub of the hotel and one of London’s finest places to take Afternoon Tea. 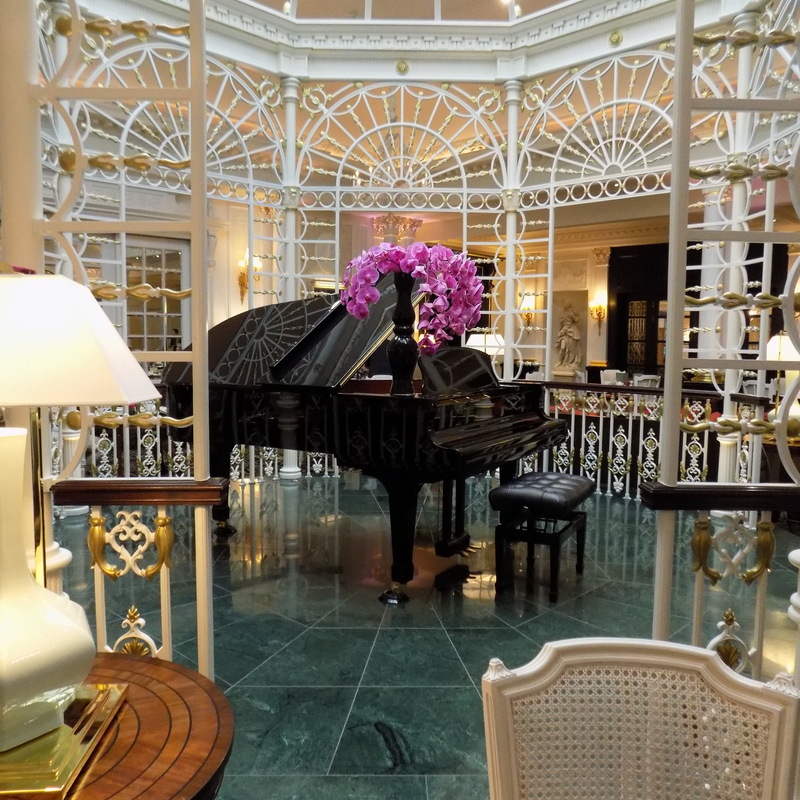 Taking pride in the centre of the Thames Foyer is the newly renovated English Garden Gazebo, here is where you’ll find the hotel’s grand piano which serenades guests during Afternoon Tea, above it, the beautiful stained glass dome. 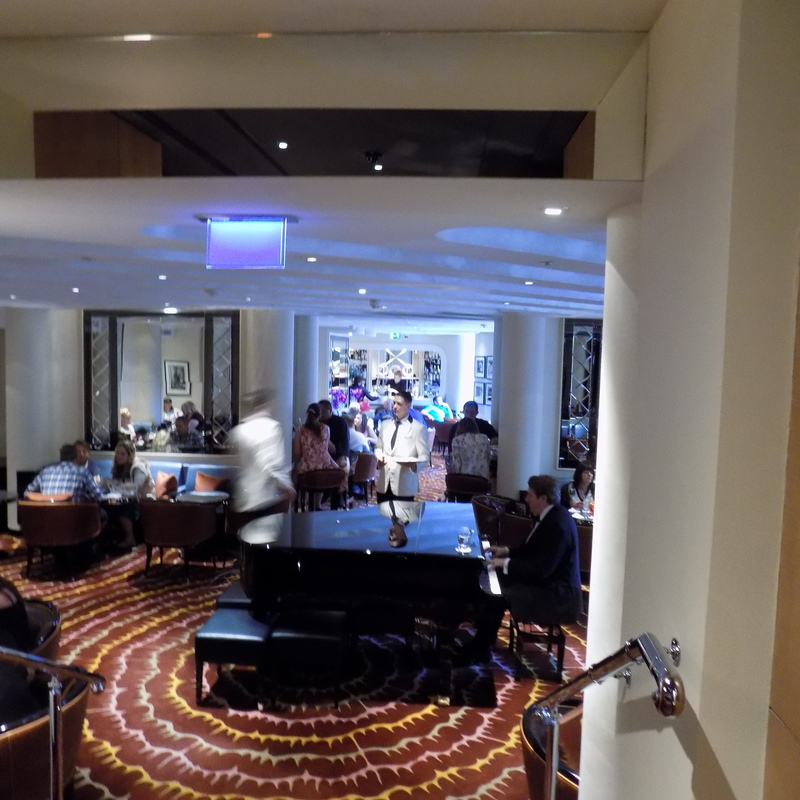 If dancing and live music is your style, there is a three course dinner dance on the last Saturday of each month. Following in the footsteps of Carroll Gibbons, Alex Mendham and his Orchestra play out the sounds of the Art-Deco era with classic sophistication. As evening beckoned, I was very much looking forward to seeing Kaspar the cat for myself since we would be dining at Kaspar’s restaurant. Alas we were only two guests so we made do by seeing Kaspar within the modern sleek black and gold sculpture that sits by the entrance to Kaspar’s restaurant. 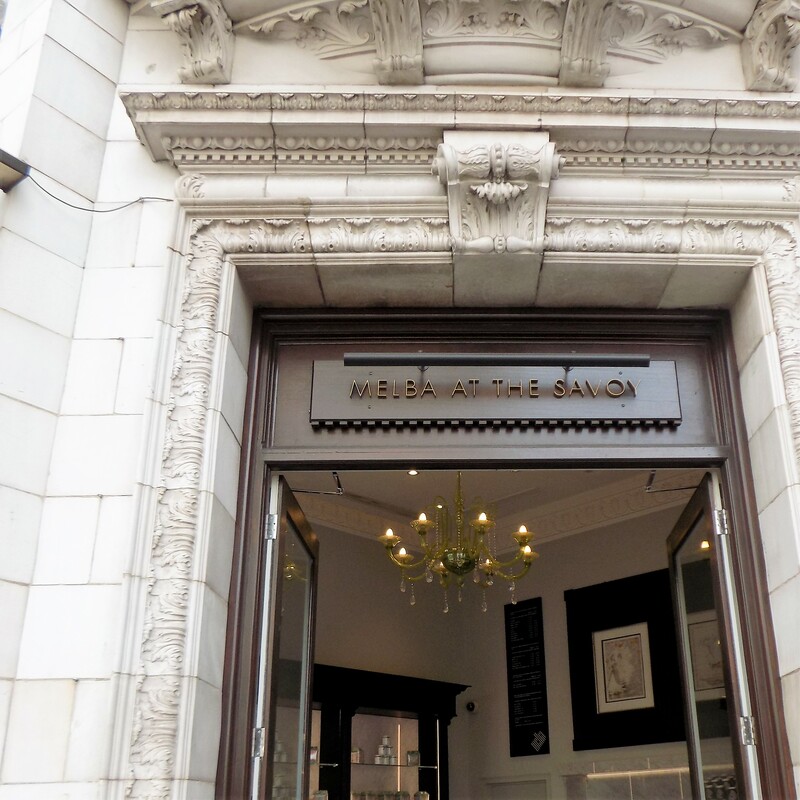 The restaurant itself is a 1920’s inspired elegant dining experience still keeping the Art Deco theme which runs seamlessly throughout the hotel along with the traditional Edwardian style. 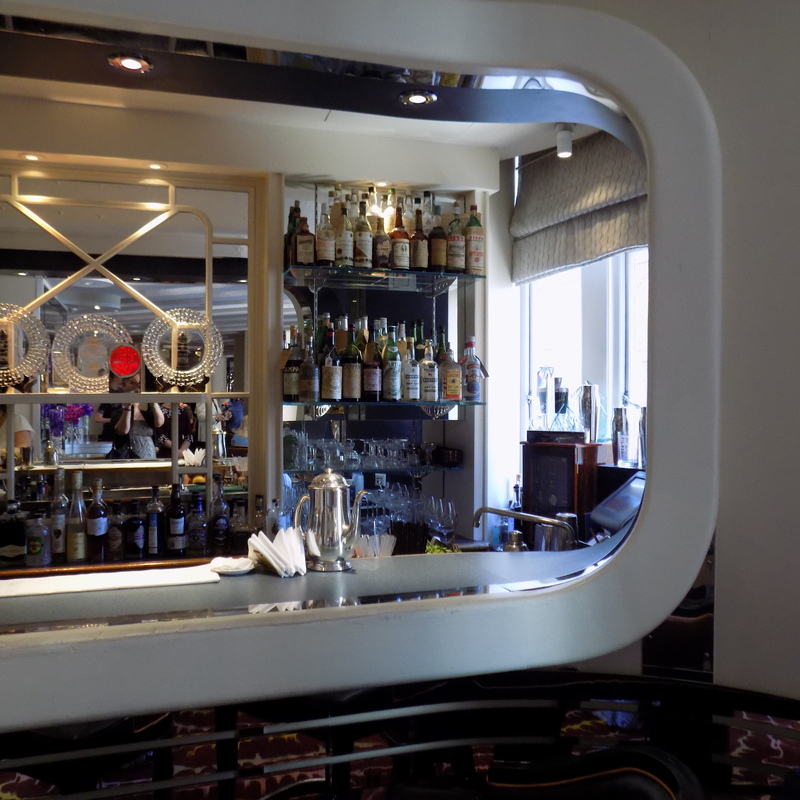 Kaspar’s has a lively bar style seating area where cascading glass beads dangle overhead, this is where we enjoyed Oysters and champagne and then continued our delicious meal at the table with our main and dessert. My husband chose the beef burger but not just any burger, it was filled with none other than our favourite foie gras, crispy thin fries and an array of accompaniments. 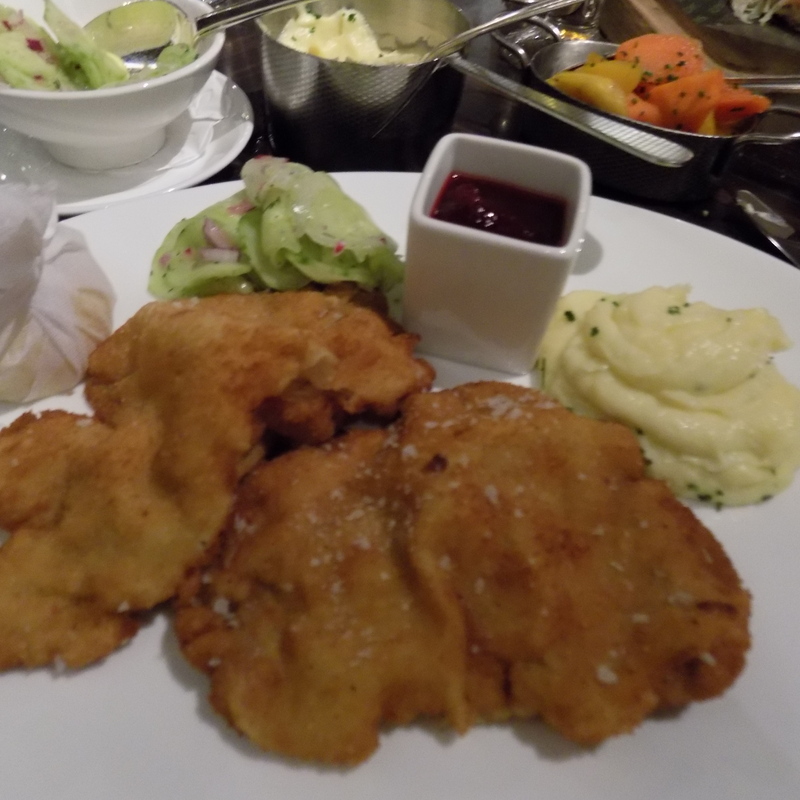 I chose an Austrian inspired Wiener Schnitzel served with a fresh cucumber salad, lingonberry compote and silky potato puree. We finished our meal by sharing a dessert called Menton Lemon which was a combination of lemon curd, Italian meringue and frozen yoghurt, it was a refreshingly welcome end to a very satisfying meal. 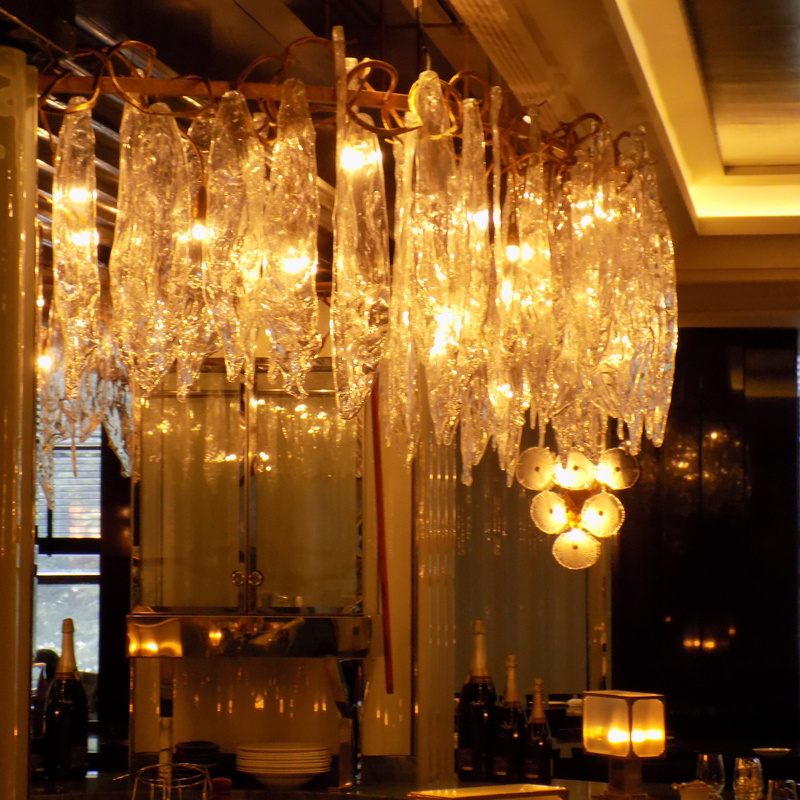 The cascading glass beads glowing gold in the dimly lit Kaspar’s made for a romantic setting. 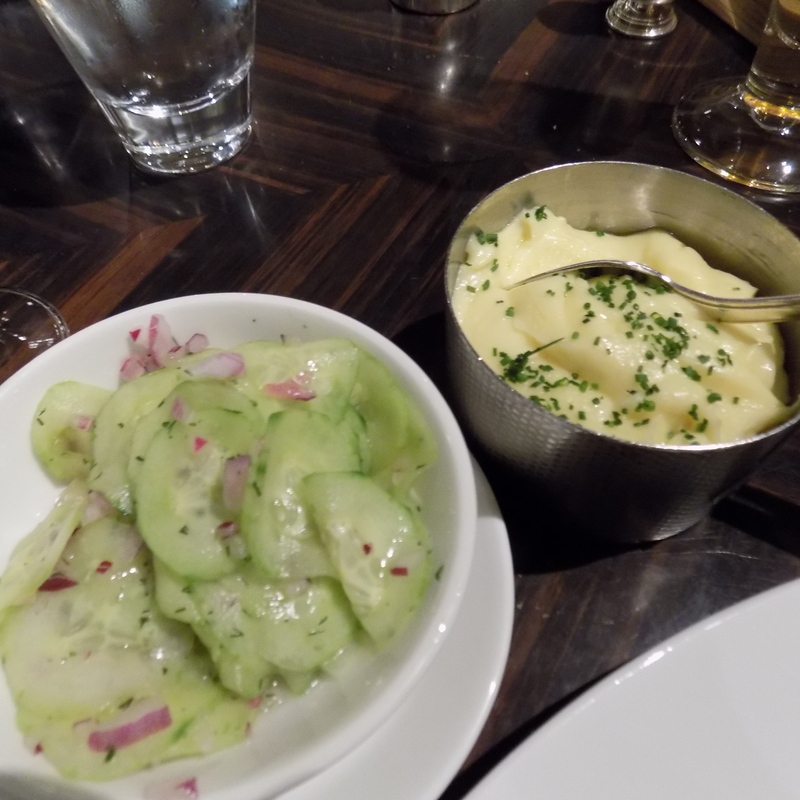 Wiener Schnitzel, Menton Lemon Dessert, cucumber salad and potato puree. 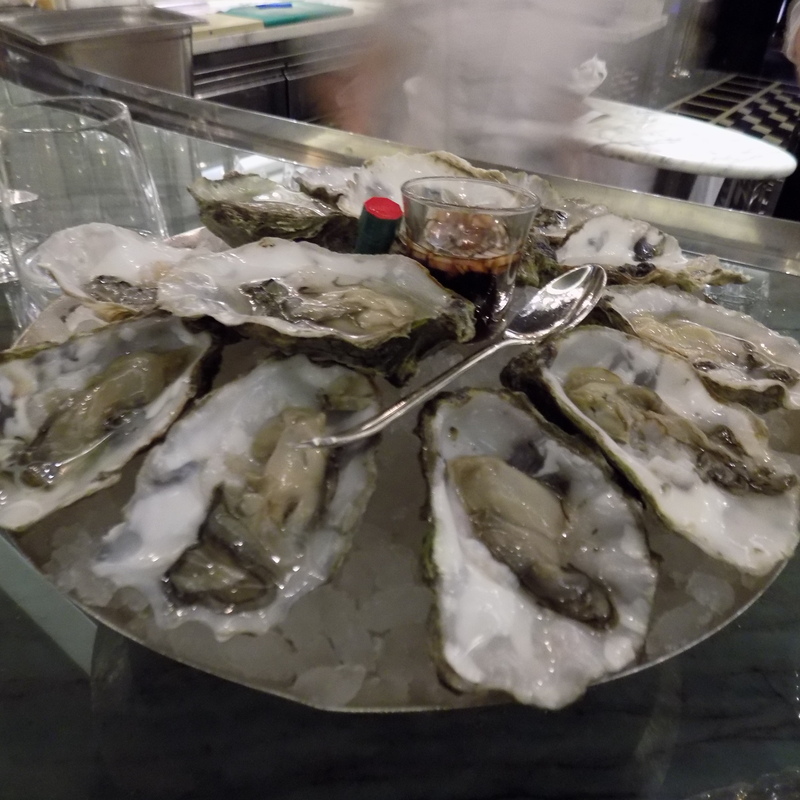 Who doesn’t like oysters? little jewels in a shell – you can almost taste the sea. Could we fit in an after dinner drink? 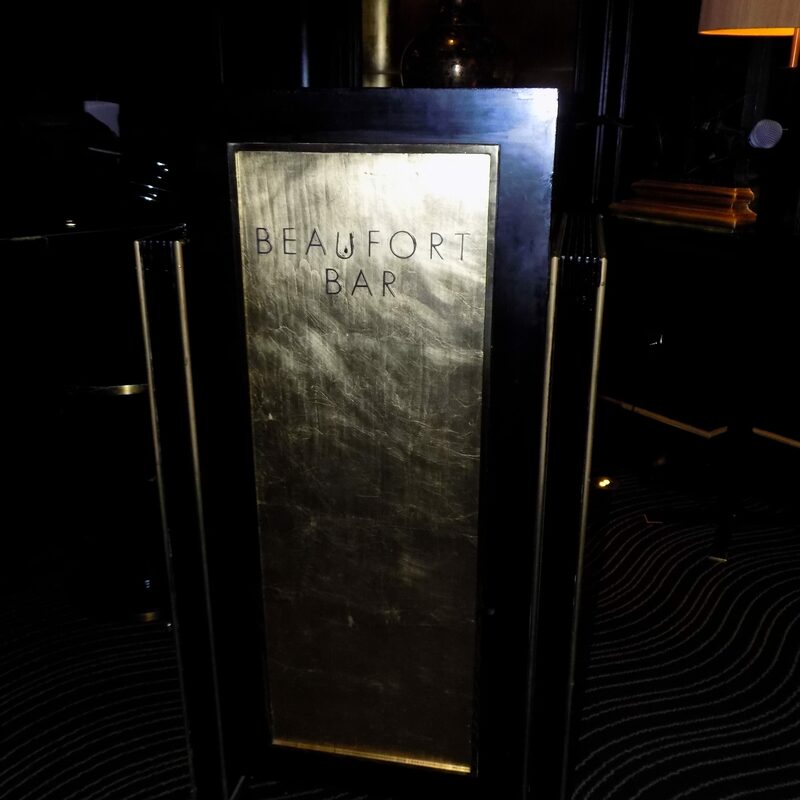 I didn’t want the evening to end and I was desperate to experience everything the hotel had to offer so we made our way to the hotel’s other bar, the Beaufort which is just off the Thames Foyer. 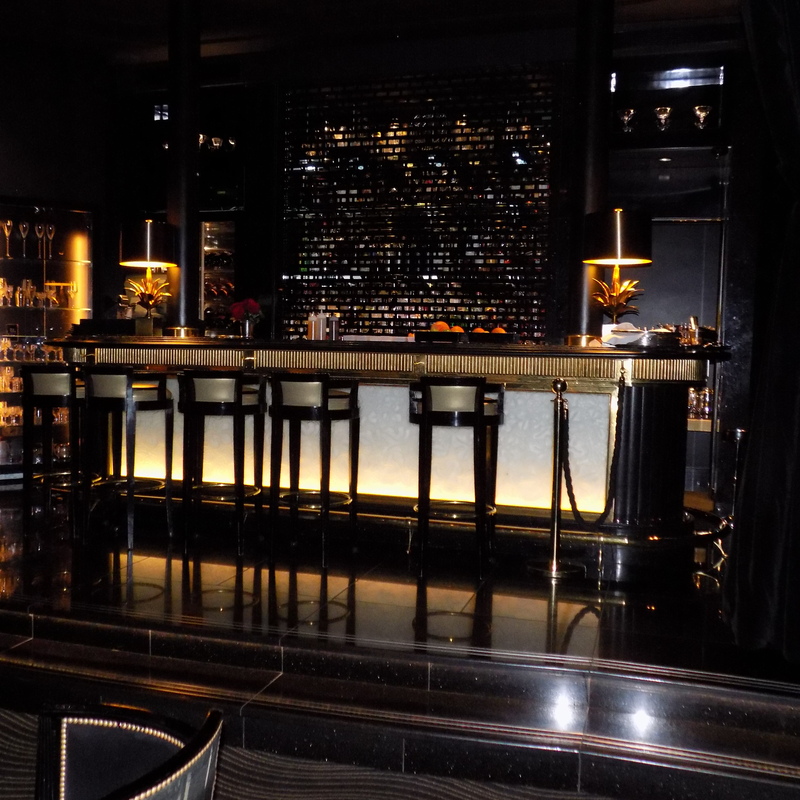 Quite different to the American bar, this is a subdued, dark, opulent and romantic setting to enjoy an after dinner digestif or cocktail. 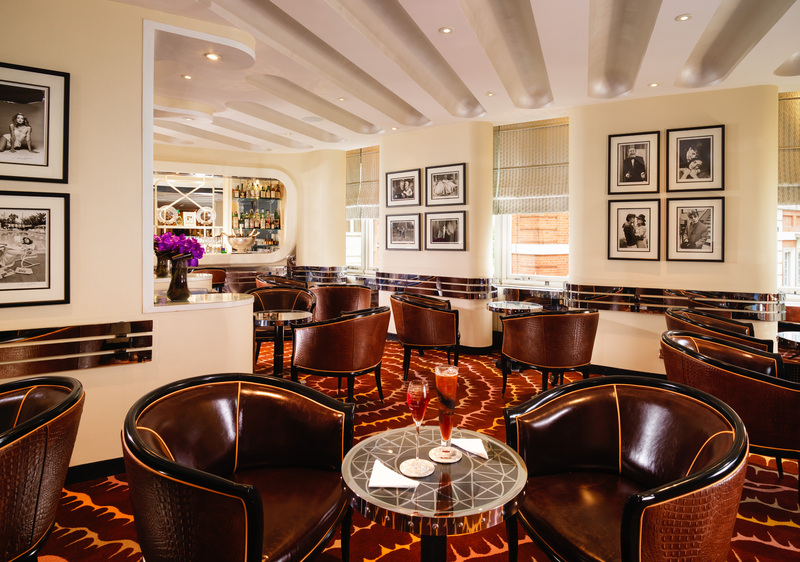 The bar itself stands on the hotel’s former cabaret stage which graced the likes of George Gershwin, The Savoy Havana Band and Frank Sinatra. A tradition of live entertainment continues to this day with live music featuring up and coming talent and monthly meetings of cabaret and burlesque. This is where we enjoyed some of the most uniquely named cocktails only featured at the Beaufort Bar, it was a lovely end to our evening meal. The next morning we enjoyed breakfast and of course it had to be a full English with all the trimmings. 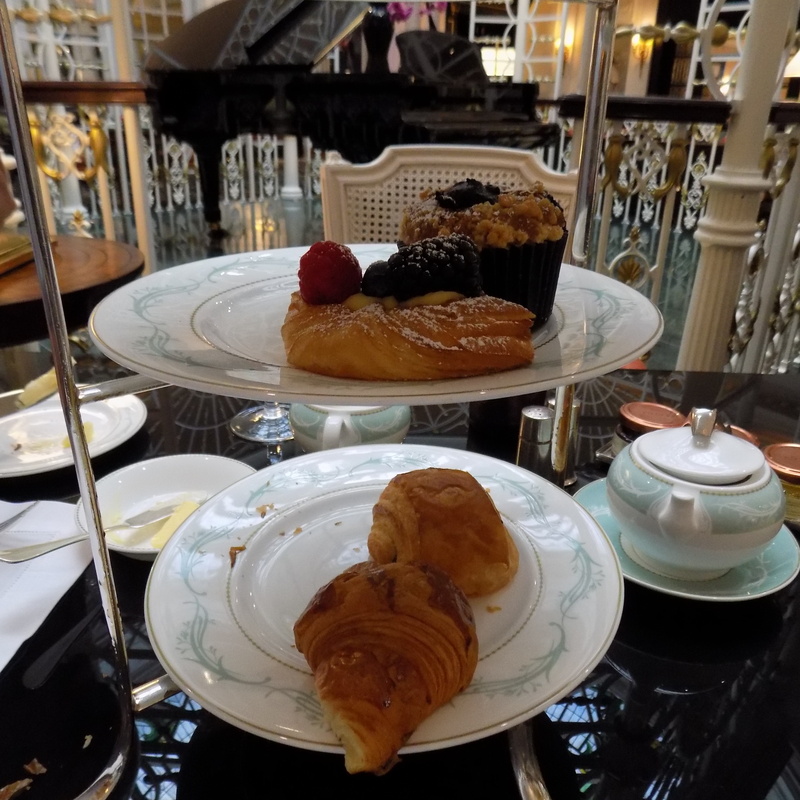 Delectable pastries were beautifully displayed on Afternoon Tea china stands, we were definitely nice and full in readiness for our journey home. 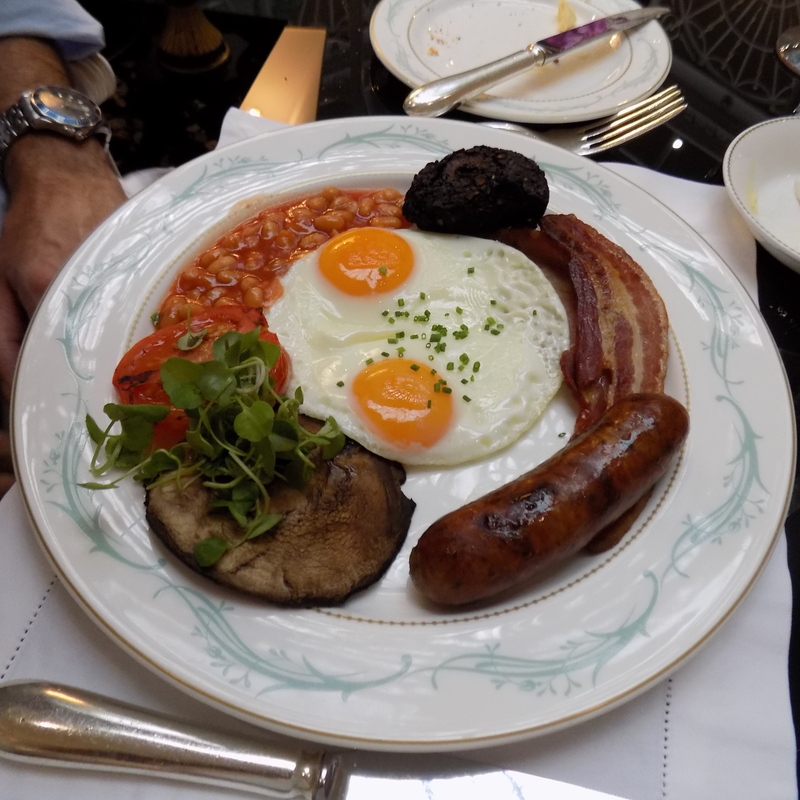 The Savoy is without doubt the most incredible hotel to stay in and I feel truly blessed that were able to enjoy a beautiful weekend which was simply faultless. 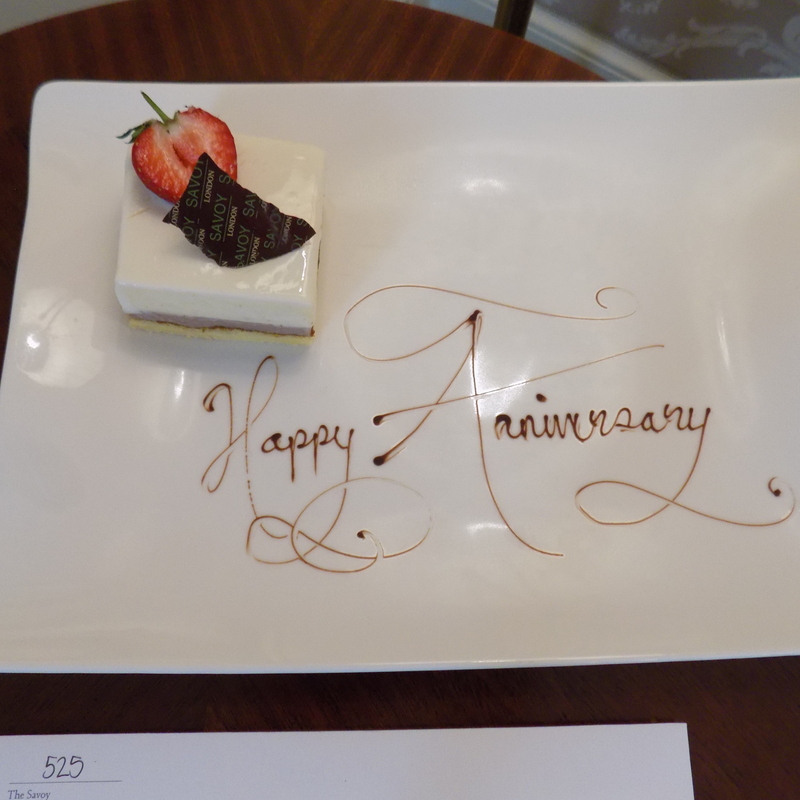 Everyone at the hotel looked after us and ensured we had a memorable wedding anniversary stay, memories to last a lifetime. 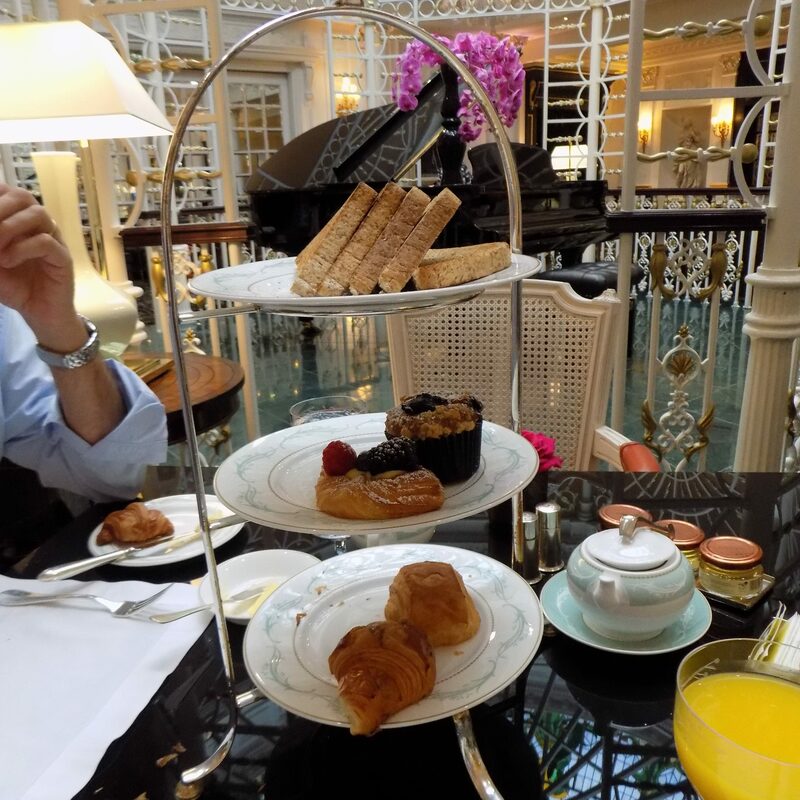 This is why guests make countless repeat visits, who can blame them when you are welcomed like you are a member of the Savoy family and for a while anyway, you feel like Royalty, that real life is somewhere far, far away!! 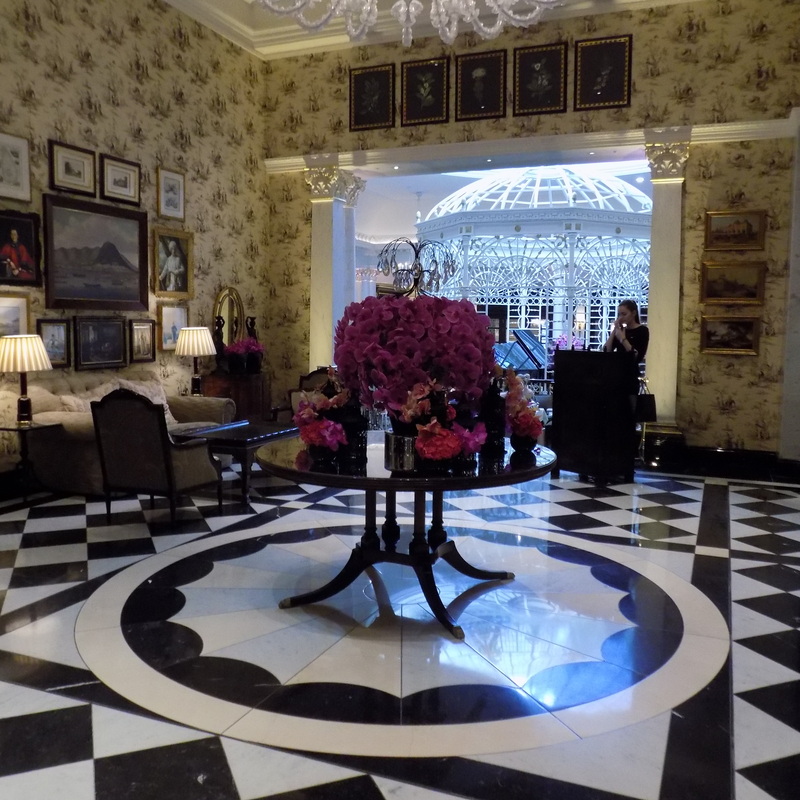 I have definitely fallen in love with the Savoy and I count the days until our next visit. My husband Andy, we’ve had an incredible 26 years of marriage- a rollercoaster of ups and downs but he’s my soulmate, TheSavoy was the perfect place to celebrate our 26 years together. 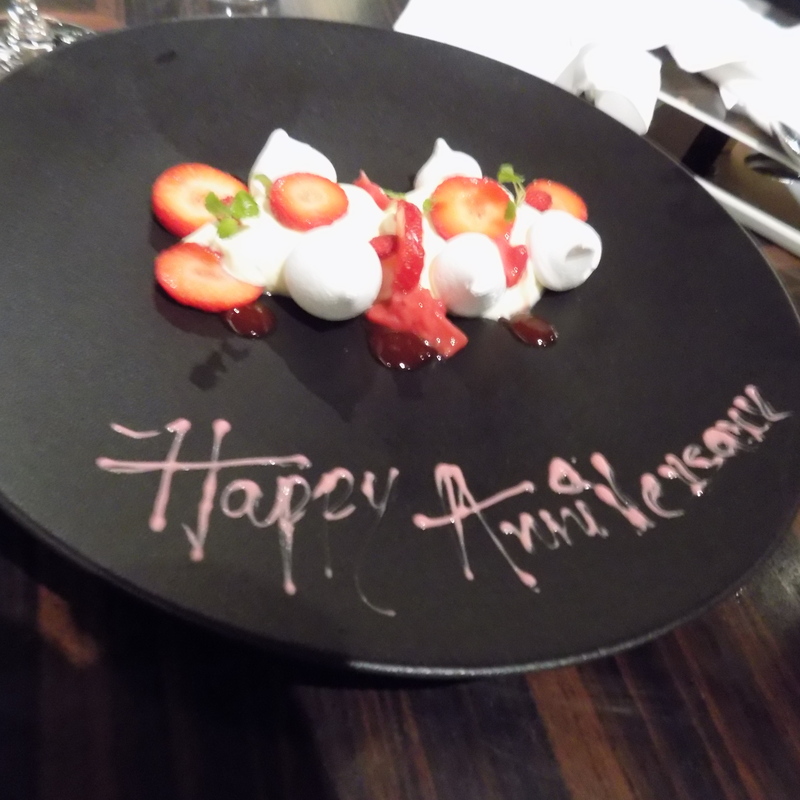 Such a beautiful hotel and how wonderful to spend your anniversary there!